With the marks of top Spanish National teams and figures such as Rafael Nadal who just won the Wimbledon after a 44 year drought for Spanish Players and the Spanish Soccer team who also won the Euro2008 after not winning in the 40s. The national teams for Spain both women and men are hoping to follow in those footsteps in Pekin during the Olympic Summer Basketball Games! 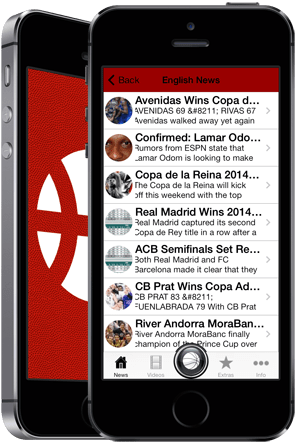 Basketball in Spain is the leader in providing up to date news about Spanish basketball. We provide news via the RSS FEED, iOS and Android Applications so that you can follow us anytime you want. Of course follow us in the social media areas as well. Check in YouTube if the id feb belongs to a . Check the FAQ of the plugin or send error messages to support.